Adobe’s products are the first names to come in mind when it comes to image-related jobs. Most photographers use Photoshop and Lightroom to edit photos, digital artists use Illustrator to create beautiful digital paintings. There is one more famous tool developed by Adobe to work with images: InDesign. InDesign is an Adobe product to allow you working with designs. But, it’s different stuff to Illustrator. InDesign is a desktop publishing whereby you can use it create stuffs like magazine layouts, newspaper layout, brochures, flyers and so on (in case you want to know the differences between InDesign and Illustrator, you can read this page). Just because InDesign is popular, doesn’t mean that it’s the only desktop publishing tool out there. There are a bunch of similar tools you can use in case you are an anti-Adobe person. Following are 7 of the best InDesign alteternatives. If you are a fanatic Windows user then Microsoft Office Publisher is the tool you are looking for if you need to create designs which can be handled by InDesign like magazine layouts, flyers, brochures and so on. Just like other Microsoft’s products, Office Publisher is also a paid tool. There are two ways to use this tool: through yearly subscription or by making an one-time purchase. Microsoft gives you a chance to use the tool for free during the trial period. Some of the design types you can create with the tool are flyer, leaflet, brochure, business card, calendar, and lots more. Office Publisher itself is available in two versions, a standalone app and a bundled app which you can find in the higher-end editions of Microsoft Office. The tool is only available for Windows and macOS. QuarkXPress is another popular desktop publishing tool other than InDesign, especially in the US. This tool is often considered to be a serious competitor to InDesign. If you hate the subscription business model, which is become a norm these days, QuarkXPress is a suited option. 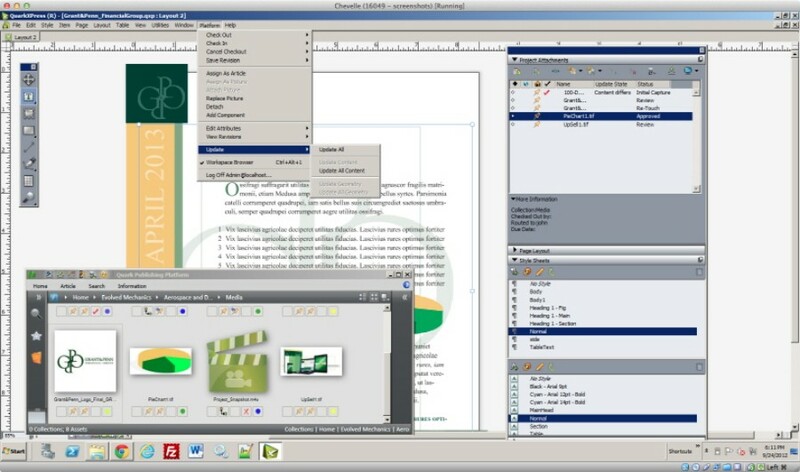 QuarkXPress is developed by Quark Software Inc, a Colorado-based company. The software can only be used on Windows and macOS. The software itself is basically an old player in the desktop publishing market. It has been around for decades since the year of 1987. 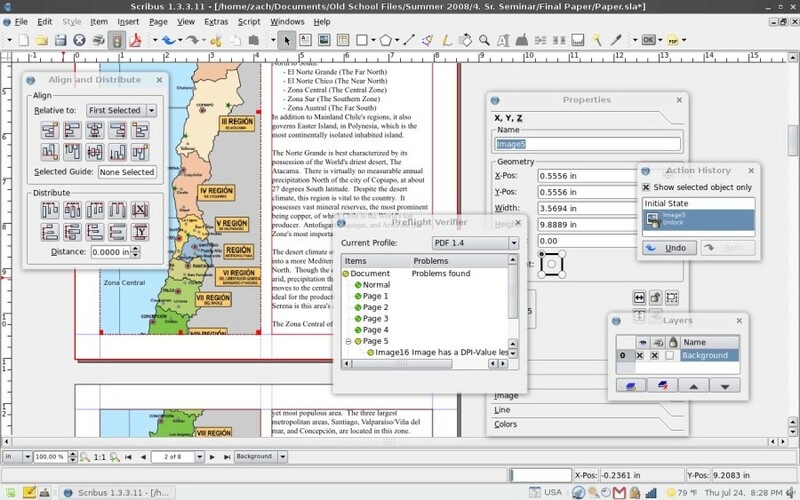 QuarkXPress is capable of creating a variety of layouts from single-page flyers to the multi-media projects required for magazines, newspapers and so son. Looking for a free alternative to InDesign? You can give Scribus a try. Not just free, the desktop publishing tool is also released as an open source software under the GNU General Public License so you can make some modification of it in case you have a programming skill. 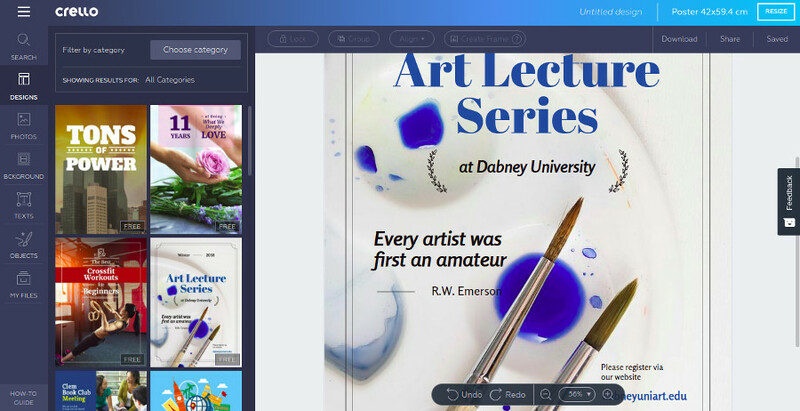 Mostly, the use of Scribus is for creating magazine layouts, but you can also use it to create several other design types just like you can do with two tools above. You can use Scribus regardless the operating system you use, whether Linux, Windows or macOS. In addition to desktop-based tools like mentioned above, there are also several web-based publishing tool you can use to replace InDesign. One of which is Lucidpress which allows you to create stuffs like flyers, brochures, posters, magazines and so on. There are dozens of layouts you can use, be it free or paid. 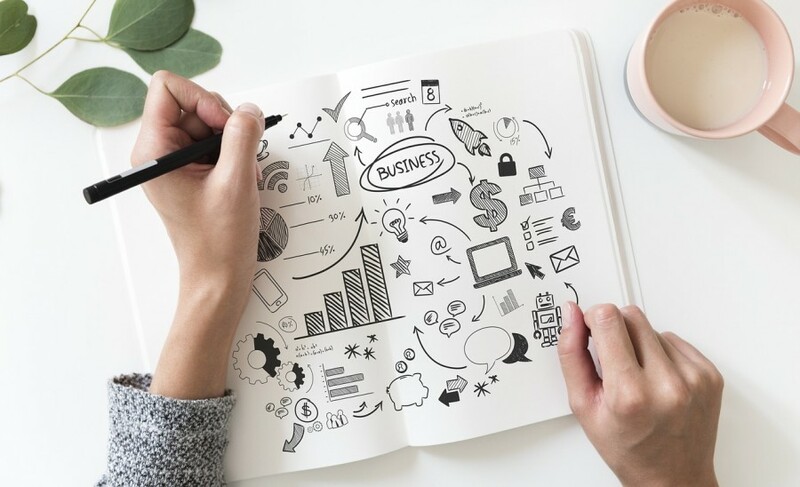 Although you have to spend monthly budget to use Lucidpress, at least the amount is much cheaper than, for instance Microsoft Office Publisher. The cheapest plan offered by Lucidpress costs $5.95 (for individual use). There is also a free version offered by Lucidpress, but the applied restrictions are too tight. Since Lucidpress runs on the web, you can use it no matter the operating system you use. 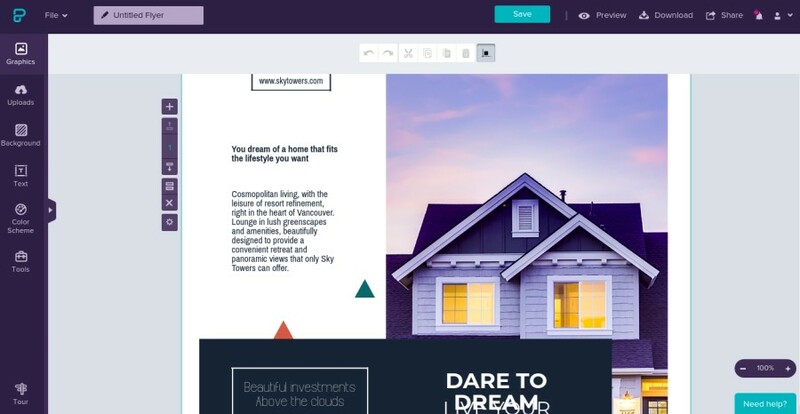 Another web-based publishing tool you can use to replace InDesign. We have mentioned Canva a couple times in the previous posts. It is a great tool to handle design-related tasks. Particularly, Canva is a great tool to create marketing campaign tools such as flyers, brochures, posters and so on. 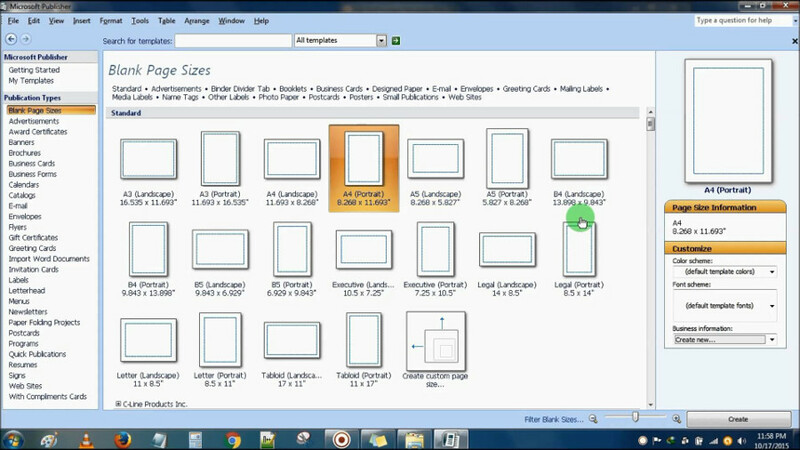 The tool has an abundant collections of layouts, allowing you to use different layout for every design you create. Canva can be used for free, but there are many benefits if you want to upgrade your free account. 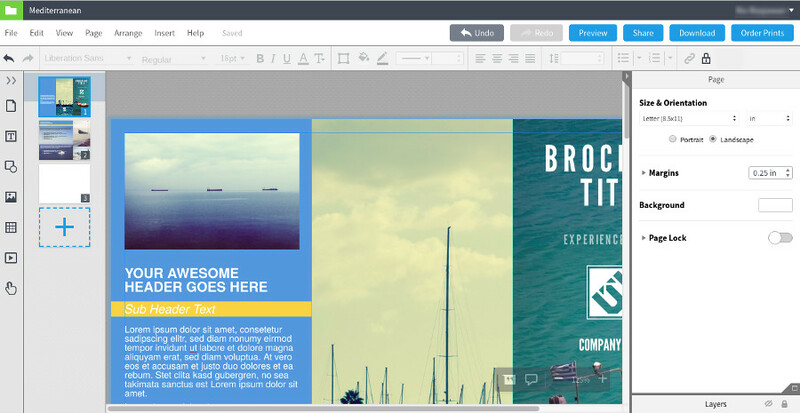 Since Canva is a web-based tool, you can also use it on Linux, Windows and macOS. Crello is another great tool to work with design online. 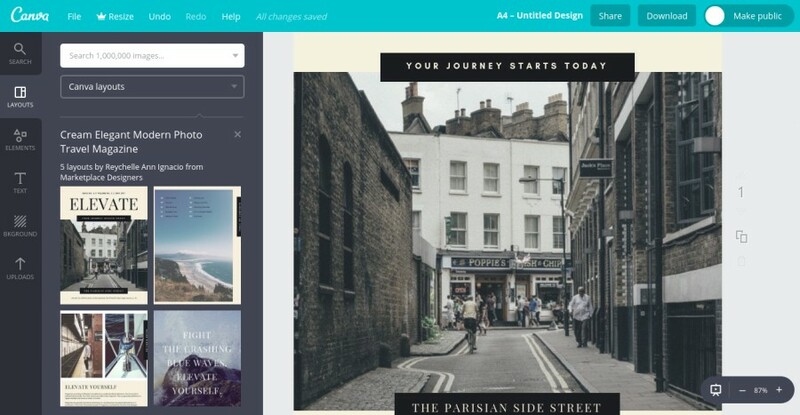 The types of designs you can create with Crello are quite similar to Canva. Such as flyers, posters, brochures and so on. Crello is more suited if you are looking for a free publishing tool. It also uses the freemium business model, meaning that there are some benefits you will get if you upgrade your plan. However, the features offered for free accounts are richer than Canva. Crello itself is developed by a New York-based stock photo company Depositphotos. Well, Piktrochart doesn’t come with the complex capabilities like all tools above, but it is good enough to work with designs. The types of designs you can create with Piktocharts are infographics, flyers, posters. Very limited, but Piktochart has a fancy interface that is easy to use. There are free templates you can use as well. You can use Piktochart for free, but there are many benefits you will get if you want to upgrade your account. We have covered this tool in this post. Simply go for it to figure out how great Piktochart is.